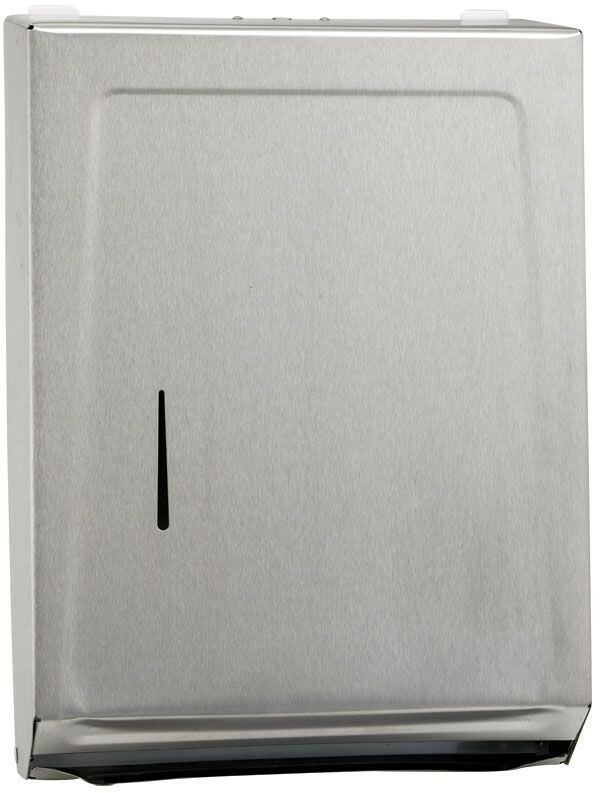 For institutions, hotels and restaurants alike, the Winco TD-700 Stainless Steel Paper Towel Cabinet a must-have. Made of stainless steel, it is extremely durable and its silver color will easily match any de´or. This paper towel cabinet has a narrow slot window so your staff can check when it is running low. In addition, it can hold up to 400 C-fold or 525 M-fold paper towels, so your staff will need to refill less often. 11-4/5" x 15-4/5" x 4-1/2"